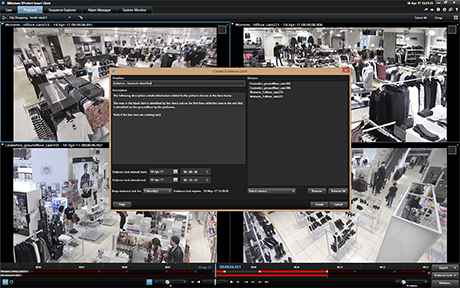 Designed for Milestone XProtect® Designed for Milestone XProtect® IP video management software (VMS) and Milestone Husky™ series, XProtect Smart Client is a powerful, easy-to-use client application for a surveillance installation's daily operations. Its streamlined interface provides intuitive and powerful functions to manage any Milestone installation regardless of its size. XProtect Smart Client is now supporting Hardware Accelerated Video Decoding, allowing you to view and monitor up to 5 times more high-resolution streams with a lower CPU load using external graphics cards (GPU). XProtect Smart Client provides an efficient working environment that can be optimized for different tasks and operator requirements. 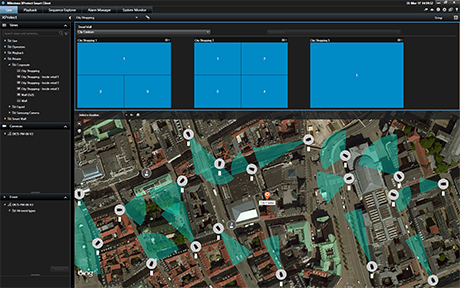 Advanced investigation tools combined with an easy-to-navigate video timeline enable users to examine incidents quickly and accurately. Sophisticated export options, including the Storyboard feature, consolidate relevant video evidence for a complete overview of incidents. XProtect Smart Client is available in 30 languages, allowing users to work with the application in their native language. While a picture is worth a thousand words, the spoken word can be worth much more. Regardless of the number of megapixels captured by a surveillance camera, video alone only tells half the story. Why not tap into the power of XProtect and audio and let the ears complement what the eyes are seeing? Having audio as an integrated part of the system can be extremely beneficial when it comes to identifying, recognizing and reacting to a situation. Watch the video to learn more!